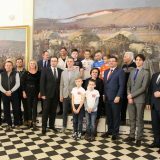 Dries van Gestel (Lotto Soudal U23) claimed victory on stage 3 of Carpathian Couriers Race, winning a sprint from a group of three in Polish town Jabłonka. 20-year-old attacked on the last climb of the day and reached the finish line after a bold 20 kilometers raid into the headwind, in the final outsprinting breakaway companions – Silvio Herklotz (Team Stölting) and Alvaro Cuadros (AWT Greenway). Cuadros moved into the race lead, taking the jersey off the shoulders of yesterday’s winner Alexander Wachter (Tirol). 105km stage started by the lake of Niedzica and it was the very first ascent that saw six riders sailing away from the bunch and fighting for points of mountains classification. Czech Republic’s Michael Kukrle (Favorit Brni) battled Massimo Vanderaerden (Lotto Soudal U23) and Gracjan Szeląg (Polish National Team) for points and after four climbs managed to secure the pink jersey, 3 points ahead of Polish climber. The move was neutralized as CCC Sprandi Polkowice and Tirol riders hit the front, bringing the group back on the slopes of Bukowina. 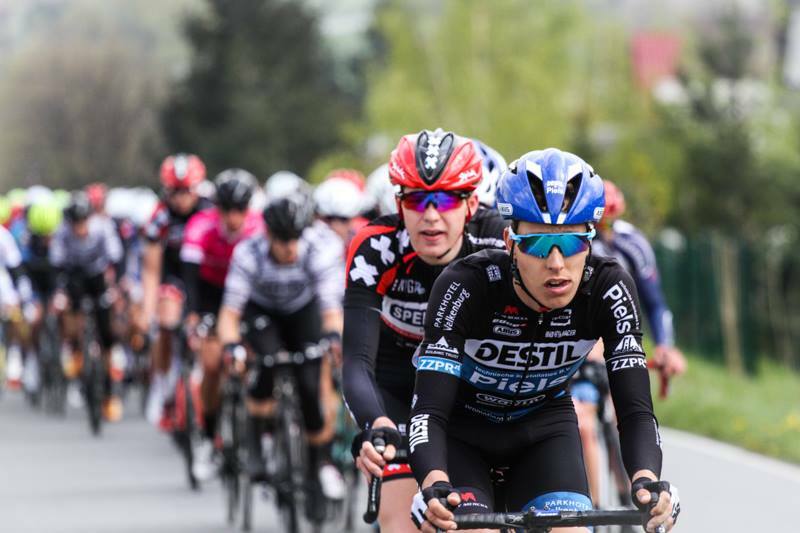 Counterattacks shattered the group and it was van Gestel who accelerated around 20 kilometers from the finish. Lotto Soudal U23 rider managed to create a gap on steep slopes of Ząb, taking Herklotz, Cuadros, Sven Reutter (Team Stölting) and Maximilian Schachmann (AWT Greenway) with him. Two Germans soon crashed on the descent and it was up to the trio to hold off the charges from peloton in the last 15 kilometers. Trio worked well together thanks to Silvio Herklotz who spent last kilometers time-trialling at the front and taking most of the work on his shoulders. „It was a hard race today but my team made it hard for everyone. We performed very strongly. It was close in the end but I’m happy with 2nd place. It was a time trial riding for next races” – German rider explained after podium ceremony. Van Gestel opened up the sprint with 300 meters to go and managed to fence off Herklotz and new race leader Alvaro Cuadros. „I crashed yesterday, had a mechanical and had to chase the bunch. Today I was feeling strong, we attacked on the last climb but two guys crashed and there were three of us left. It was mostly downhill, there were lots of corners, so the chasers couldn’t see us” – van Gestel smiled after the finish. Cuadros, 3rd at the line, took command of the general classification and is also the leader of points classification and young riders classification. Van Gestel moved to 5th overall and is now 17 seconds behind Spanish rider. „Only in last 10km we started realizing that we can fight for victory. We had a headwind, it was hard on this long winding roads. With 3 km they told us we have 25 seconds, so I knew I can win sprint from this group. I went early, it was hard to keep Silvio behind me but I managed to and I’m really happy” – young Belgian said. 2 miesiące do Karpackiego Wyścigu Kurierów 2018!